You may know that Victoria sandwich cake is one of the traditional British tea cakes. 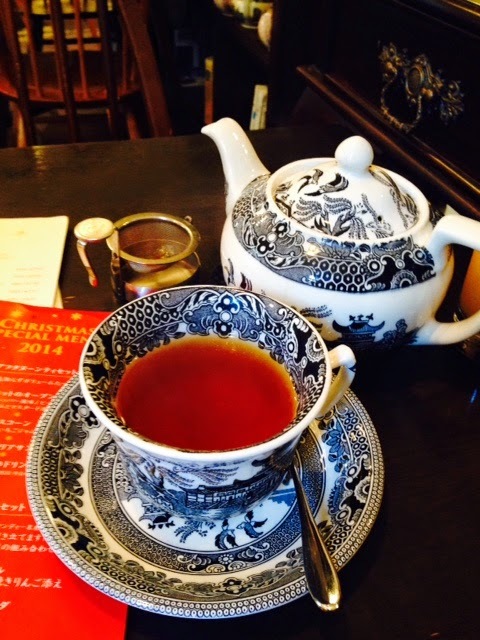 It was named after Queen Victoria who was believed to enjoy it for teatime. Unfortunately, not many tearooms in my neighborhood serves and I missed it. 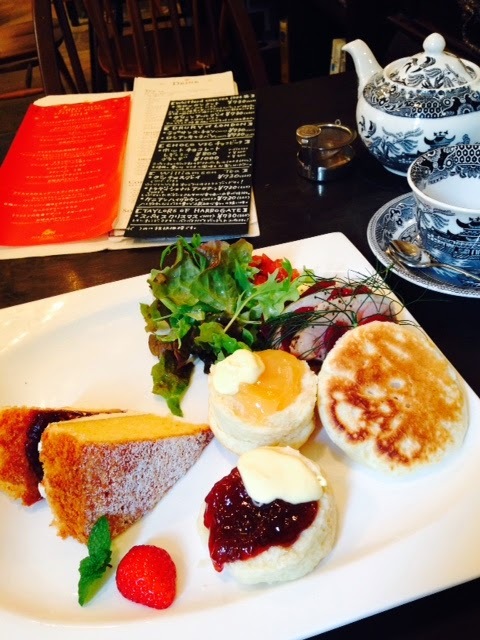 But a tearoom I often go adds the cake as a dessert for special Christmas menu. Yes! Of course, I went and tried it. It was Lovely!! Yummy!. Actually, Japanese and English flours seem to be different. I am not the specialist for flour, so I can't say what's different, but it Is different. The cake made from Japanese one usually creates more smooth, fluffy and silky texture. The Victoria sandwich cake I had there had more rough, which reminded me of British style. As I guessed, that was not from Japanese flour. I am not saying Japanese one is not good. I like it. But this is the British cake. I am glad to feel more texture in my mouth. And that texture made me feel like " I need more tea!" and I did. Christmas tea from Taylor's of Hallogate I had with gave me more Christmassy feelings. The tearoom have another Christmas special, which is more meal-ish. I should go again maybe for supper. Lovely to see you, Typhoo! Would you like a cup of tea with Hello Kitty?